← Bridge-nado, a media feeding frenzy to save Hillary. 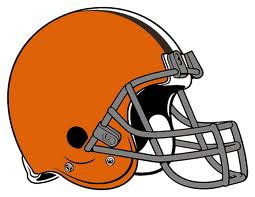 So my team is the Cleveland Browns. The changed ownership last year. The new owner brought in all his people, hired a new coach, new staff, all bright shiny pennies. Yea. They hired Rob Chudzinski. Chud brought in some real good talent at the coordinator positions. Offensive and defensive coordinators were top notch. Brought in some new talent, too. Then went on to have a pretty standard, Cleveland Browns 4-11 season. Then, they fired Chud at the end of the year. As of this date, they still haven’t hired a coach. I understand the dissatisfaction with the previous coaches, but they only had one year. Now, they fired Chud so they could, apparently, bring in “some guy.” At least, that’s what they’re doing. At least three of their leading candidates turned them down. They’ve interviewed a few more. Now it appears their going to hire the defensive coordinator from Buffalo. I don’t know the guy. After his first interview, his daughter tweeted “Well, it’s the Browns, but still pretty cool.” Nice. Maybe he’ll work out. But at the very least, at this point, he’s just “some guy.” Nine or so down a list of people they targeted. It’s not like they fired Chud to get a specific person. At this point, its hard to wonder who they are going to be able to bring in as the offensive and defensive coordinators. Maybe next year they should just put eleven guys out their and draw up plays in the dirt. They’d probably still win a game or two.